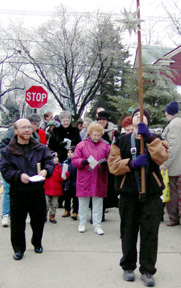 An Ecumenical procession was held from 4:00 to 5:00 p.m., on Sunday, January 5, 2003. 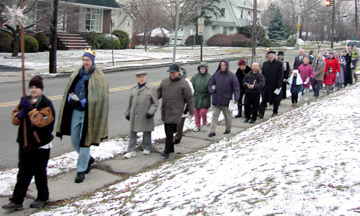 The procession started at First United Methodist then proceeded to Holy Trinity Lutheran, then to St. John's Episcopal Church, then to Corpus Christi RC before finishing at the First Reformed Church where a reception will be held to welcome the Magi. 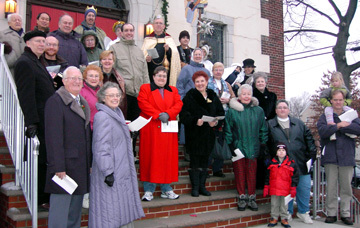 At each church there was a tableau to recount the Journey of the Magi, and included brief reciting of liturgy, and a short refrain. The service was followed by refreshments. The word "Epiphany", from the Greek language epiphaneia, means "manifestation" or "appearance". 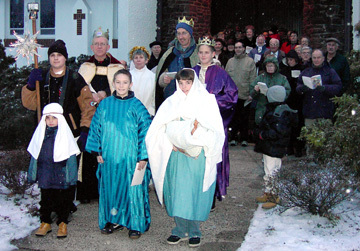 In the Churchs celebration, it is a reminder of the visit to the Christ Child by the Magi, the Wise Men. It is also a symbol of Christs manifestation to the "Gentiles", the "other-than-Hebrews", and not for one group of people only. Christ is therefore seen as the "Light of the World" (John 8:12). 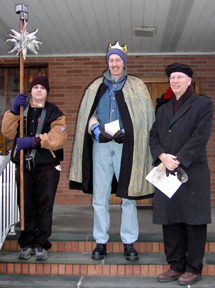 Consequently, the celebration of The Epiphany is often called the Christian "Festival of Lights." In many European countries, especially France, Portugal and Spain, children place their shoes, filled with oats on the doorsteps of their houses on the eve of Epiphany. This is done to care for the animals (traditionally camels, horses and elephants) of the Magi may have something to eat while they are "en route to Bethlehem." The next day, children awake to find that the Wise Men have left gifts in the shoes. This tradition has also found its way to many Latin American traditions where children leave their shoes at the foot of their beds in anticipation of gifts left for them by the benevolent Wise Men. 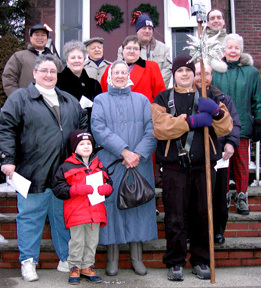 The Season of Epiphany includes the time between The Epiphany, January 6th, and the coming of Ash Wednesday (March 5th), which begins the Lenten Season. The Season after Epiphany (sometimes called "Ordinary Time") signifies Christs public ministry and his working in our souls for all the worlds care. 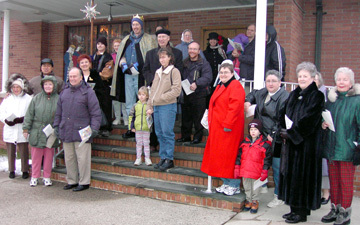 The Church colors for celebration of Epiphany include both white and green. The white is used for The Epiphany (January 5th). White marks our major festivals as a symbol and reminder of the purity of the Lord, and of our participation in his forgiveness. Green is the Churchs color for "life and growth." 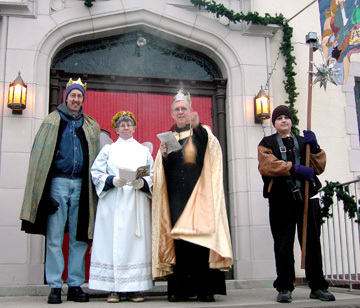 The Season of Epiphany is green because it represents the growth of the Church in all the world, as the Magi take what they have learned of the Christ Childs birth back to their homes and native lands. The seeds are sown for the Churchs growth throughout the world.